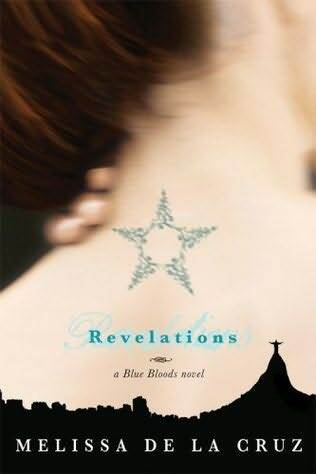 Okay, so I was curious to find out when the next book for the Blue Bloods Series by Melissa De La Cruz would come out. I found out! The author did an interview with Entertainment Weekly which also features the cover for the new book, Misguided Angel, which will be released on October 5, 2010. If you have read these books and find them intriguing as I do, then you will love this article. My own opinion, this is my favorite cover of them all. The most beautifully crafted anyway. And she is one author that I want to walk up to and say, "Where did these ideas come from?" The Van Alen Legacy is the book that was lately published in the Blue Bloods series. I expect at least one or two more to come of it. I have really enjoyed them. And just to warn you--to give a summary, there will be spoilers! I really try not to, but this one cannot be helped. This story continues straight on from the end of Revelations, a year later. There are new wardens--all mostly old and raggedy--to replace the ones that have been killed when the demon, Leviathan, was released in Rio de Janeiro, Brazil. Schuyler and Oliver are on the run from the Wardens and Venators (truth finding vampires--much like their own FBI), all over the world they have fled them. Bliss isn't herself, and her little sister, Jordan is missing. What is mysterious is how Bliss can't really remember the last part of her trip to Brazil. Or how she got home. Or whatever happened to the last year of her life? Mimi is on one of the Venator teams with Kingsley Martin as lead. They are on the search for Bliss's missing sister who can lead them to what is really going on in their world. Everything is amiss and everyone is scrambling to find truth in everything else. But as Revelations seemed to be more of a "character building" story, The Van Alen Legacy is more of the "plot building" story. I had a harder time reading through this one, possibly since it wasn't as character driven as the last one. However, there were times when I wanted to know what happened next. But not like the last book where I read it in a day. This one took me about three weeks to complete. Sorry, this is a short review. I don't want to spoil more of this story, but this one does leave its' mark on the whole of the storyline of the Blue Bloods. I suspect the next one will be character driven once again and I'm thoroughly excited for it. Melissa really did a number on this story leaving a cliffhanger in her epilogue. Squeeze every ounce of yourself to get through this story, but really, just remember it is not going to be as great as the last book. Moreover, it is important to the whole of the storyline. I've reviewed the first two books of the series already, Blue Bloods and Masquerade. But here comes Revelations. This continues the story of Mimi Force, Schuyler Van Alen, and Bliss Llewellyn in their socialite society and learning more and more who they were in their past lives and fighting those who seek to destroy the New York Coven of Blue Bloods. The search for the Silver Blood is on as a new boy shows up at school, Kingsley Martin. He's a knockout, a competitor for Mimi's twin brother and soulmate, Jack Force. Unlike the blond, respectful, Jack, Kingsley likes to play on the wild side. His dark looks give him away as possibly the one who is behind all the attacks on young Blue Bloods at Duschesne. What I love is the character development in this book. This one has shown us more into Schuyler and her learning the ways of the vampire life, although she is just a half blood. Half human/half vampire. Her grandfather teaches her quickly and efficiently because he knows something she doesn't. Her feelings get in the way of everything as she is conflicted between loving her best friend and conduit, Oliver, more than she ought to, and having a relationship with the forbidden one, Jack Force. When I read Schuyler's point of views, I really feel sorry for her that she is stuck in the middle of everything and the weight is all on her to live up to her family name. But I also feel like she doesn't really care much for what is going on and who she is. She just doesn't want any part in it and that part makes me angry at her character. But we are all like that in some way aren't we? I don't know why, but I always love reading Bliss's point of view. It's more mysterious than the rest of them. She can't remember who her real mother is, she can't focus on who she was in the past. So she really is searching and wanting to learn who she is. I love the self discoveries that characters go through. For this book, I really suggest you start at the beginning to get the full throttle of this storyline. But this one, really gets you sitting on the edge of your seat. I read it in a day. I couldn't put it down. This is just one part of the climactic point of the story. There is more. That's in another review. I've been meaning to review this for a while now. I have been reading other books and can't take my mind off of this one. "And then I opened my eyes and it was just Grace and me--nothing anywhere but Grace and me--she pressing her lips together as though she were keeping my kiss inside her, and me holding this moment that was as fragile as a bird in my hands." There you have it. Now if you haven't read it yet, there will be some spoilers possibly (I try not to do that--but it can slip up somewhere). Shiver is about a girl named Grace who lives by the woods in Minnesota. But this story is also about a boy named Sam who lives in the woods every winter as a wolf and in the summers as a boy. Things only get complicated when shy, wolf Sam saves Grace from an attack and then and there had fallen in love with her, and she with him. But how can they be together if he's only human for four months of the year--if that? What I really loved about this story as a whole is how romantic it is. I was talking to my husband about it and telling him the difference between Twilight and Shiver. Well, one has vampires and werewolves, the other--just werewolves. Two, one is set in the Northwest of the United States while the other is set in the Midwest of the United States. And three, one is more "teenage angsty" while the other one really sets the "romantic tone" more for the story than the "Oh my there is my Romeo" love at first sight deal. The romance in the story is sweet and touching. From day one, although he's a wolf in the winter time, Sam loves Grace and watches her from a distance in the woods behind her house. And Grace, in turn, just keeps an eye out during the winter for her "wolf". What is so fantastic about the romance in this story is that you get to peek inside both Grace's mind and Sam's mind. 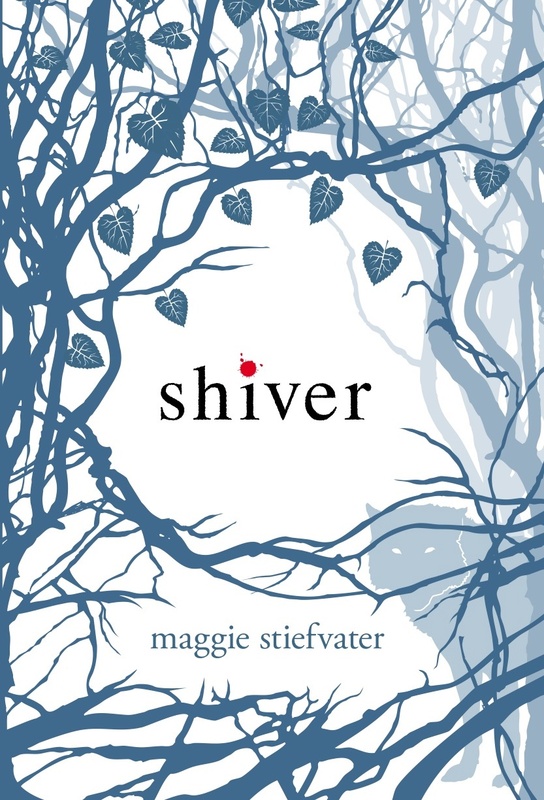 Maggie Stiefvater--I believe--did a fabulous job showing both sides and where they both come from and what they are both thinking during scenes. I love how more "classicly" romantic it is. Sam always making up song lyrics and songs for and about Grace and having a love of poetry (what girl wouldn't LOVE that?) But also with Grace being the empathetic girl who would do anything for Sam. When a boy from Grace's high school goes missing, things in her life really take a twist and the story gets its momentum from this point and just keeps it building. Sometimes when I would start to read it, I would want to go further into the story each time to see what I could figure out. As for the characters, I'm actually always picturing Sam as the more "plain-ish, punk rock" look of a kid which for me, is the disheveled kid who looks like he has no home to go to. But the more I read about Sam's personality in the story--the more I like him. Grace is the typical single child, young adult who has very distanced parents (for this type of story anyway) who also took care of herself. That kind of character--to me--is cliche these days. Yes, we love seeing stories about kids taking care of themselves, but where are the parents in all of this? We do see Grace's parents in and out of the storyline, and it's true that the character may not get in trouble if she thinks she can take care of herself most of the time. But really? I just wish for once I could read a story about a headstrong heroine that was close to her parents and they were actually involved in the story. The storyline for this book--I liked. I thought it was well driven, well thought out and well put together. 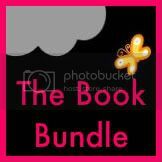 And if you really like the paranormal romances these days--go for it! This one is so touching of a story that the ending will make you love it more! Also, the sequel for this book is called, Linger, and it will be released on July 20, 2010. I've already got it on hold from the library. I'm very curious to where it will go. So, Neverland, a novel by Douglas Clegg is being released tomorrow. To celebrate and publicise the event Douglas Clegg is having an amazing competition at his website www.douglasclegg.com . So I highly recommend everyone hops over to the site as they could be in for the chance at the Grand Prize of either a Kindle or a Nook (if you're in the U.S.). You’ll also be able to check out exclusive, limited-time ebooks, and special bonus content including upcoming goodies such as a special videogame! So, I've been very slow in my fiction reading lately, amazing what a three hour delay on a train will do to help that!!! Luckily for me, I happened into Easons before I got on my train and bought 3 for 2 books - one of which was Fallen by Lauren Kate. Fallen, is a story about a girl called Lucie who is being 'reformed' after a terrible incident by being sent to Swords & Cross. There she meets a lot of strange young people, including two love interests Cam and Daniel. As the story progress, Lucie begins to realise that things aren't as normal as they seem, and that something is very different but comforting/familiar about Daniel. Ok, so essentially Fallen follows the YA paranormal template, where Lucie is a new girl with something special about her who arrives at a new school and meets this strange new guy, who she is absolutely infatuated with and becomes obsessed with finding out his secrets. This is what YA paranormal usually consists of, so I'm not going to go on about originality etc. as the way I see it, there is always a general pattern in all genres. Also I don't think it does this book justice to make comparisons. Back to Fallen, I really liked this book. I started reading it as a distraction on a stuffy warm train and it helped the time fly by for me (which is saying something). Once I was home, I had to keep reading. I think Lauren Kate did an amazing job with this story and her characters, especially IMO Cam. It would have been so easy to cast him as the villain of the piece, but you really don't get to see this side of him till the end of the book. Seriously, although I read of the back of the book, I felt more drawn to Cam as the romantic lead (I honestly don't know what that says about me) - he was charming, perfect etc. yet you got hints that although Lucie felt something for him, there was a tinge of something darker attached. The book is also nice and suspenseful, the pacing is perfect. I never felt that she was a] rushing the tension/love plot (till the end) or b] dragging it out. She just got it exactly right, so that I just kept turning the pages and was pulled into this world. Like I said before, this story contains the YA template but it does have other suspenseful elements and can be dark in places. Lucie is not a perfect character, she is flawed and is full of guilt and fear over her past, but she is relatable and likable. I liked the minor characters as well such as Penn, whose death I felt was unnecessary. I imagine she would have made a nice human/grounding character for the future books, essentially someone to crack a joke or help Lucie remember being half normal. I enjoyed that there is a bigger story behind the love story, that there is actually something bigger to be revealed as I continue with this series and that we don't (like Lucie) get all the answers by the end of the book. I'm really fascinated by Cam and Daniel's relationship and how this will all play out. I give this book 8/10 though, because I felt that 'the shadows' explanation Daniel gave was a bit blah, I'm hoping that something more will be revealed here as I thought they were more than just demon gossips, especially with what happened to Trevor and Todd. I felt that the Sophia character was just a bit *there*, like she was thrown in as a twist and I didn't think she was exactly necessary. Lastly, 7/8ths of this books is excellently written and page turning good, but I felt that the action parts and the last chapter were not up to the standard of the rest of the book. But I absolutely loved the epilogue, and am completely intrigued by where this story is heading and what Lucie's place is in relation to both Daniel and Cam. So I do recommend you give this a read. It's fun, dark and romantic but with a dash of something bigger to come.